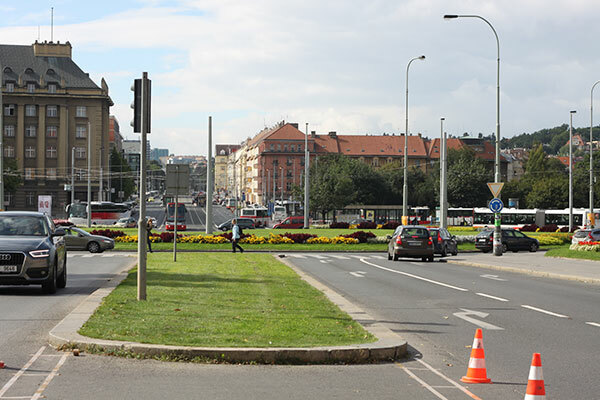 Some of Prague’s most popular neighborhoods, Dejvice and Bubeneč’s tree-lined streets provide us with numerous cafés and noteworthy restaurants. Beyond serving their locally-roasted coffee, Kavárna Místo also has a menu of nicely prepared food, don’t forget the natural wine or beer to go with it. The recently renovated (yet still classic looking) Na Slamníku serves Únětické beer and remains one of the neighborhoods most lively and famous places. One of our favorites is Café Lajka, a must visit for their coffee and beer, if nothing else. Just around the corner is Base Camp, a friendly bottle shop worth seeking out for their great selection of Czech and international beers with very fair prices. Pivovar Bubeneč is offering some beer of their own, as well as rotating taps of other micro-breweries’ beer, whilst their brother bar next-door has a few taps of their own. Krkonošská hospůdka is one of those places to happily disappear into for hours. Another great place to have some Únětické beer is Hospůdka U Pětníka. Located in the National Technical Library building of the school is Café Prostoru, serving students locally-roasted coffee and a fresh pint of Únětice with a side of wholesome food and culture. This Café also has a rotating tap and is a great place to stop after Saturday’s farmers’ market on Vítězné Náměsti.